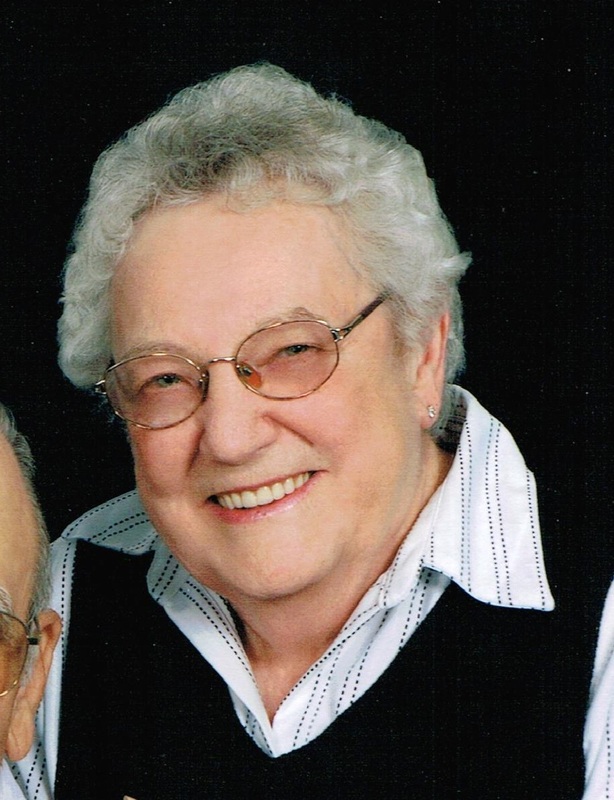 Elnora Thielman, 80, died December 13, 2014 at her home in Sioux Falls. She was born October 12, 1934 to Nicholaus and Katherine (Schiltz) Arend in rural Emery, South Dakota. Her mother passed away when Elnora was two weeks old and she was raised by her father and siblings. She was always so proud and grateful to her four â€œmothersâ€� and one brother for their loving care. Elnora started school at St. Martins Boarding School in Emery. In 1944 she moved with her sisters to Sioux Falls where she attended Cathedral Grade School and graduated from Cathedral High School in 1952. She married LaVerne Thielman on November 18, 1961 at Christ the King Church. She worked in various secretarial positions until their daughter, Amy, was born. She later returned to work and retired from St. Michael Cemetery in 1996. She enjoyed bowling, camping, playing cards and spending time with family and friends. She especially enjoyed her two grandkids. She and LaVerne spent ten winters in Texas. Elnora is survived by her husband: LaVerne; daughter: Amy (Daniel) Bourne; two grandchildren: Nicholas and Emily Bourne; sisters-in-law: Cleo Arend, Carol Peterson, June Munkvold, and Arla Horn; and special friends: Roger and NancyÂ Schumacher and their family; many nieces, nephews, cousins and friends. Her sister, Roseann Namanny, followed her to Heaven on December 14, 2014.Â She is preceded in death by her parents; four sisters: Genevieve Arend in infancy, Viola Cox, Josephine Bong, Mary Larson and one brother: Leo Arend; sister-in-law: Marilyn Christoferson; and six brothers-in-law: George Murray, Stanley Cox, Sidney Bong, Harold Namanny, W.O. Larson and Delbert Thielman. Visitation will be Monday, 5 PM at Barnett-Lewis Funeral Home withÂ a Rosary and Scripture Vigil at 7 PM. Mass of Christian Burial will be Tuesday, 10:30 AM at St. Michael Parish.